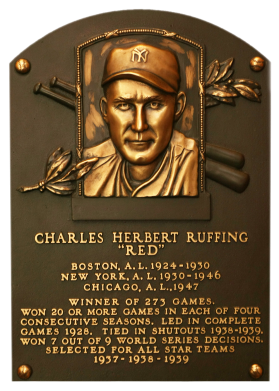 In six seasons with the Red Sox, Red Ruffing couldn't win, going 39-96 from 1924 to 1930 and leading the AL in losses twice. After he was traded to the Yankees, he couldn't lose, with a career 273-225 record and a 7-2 mark in 10 World Series games. He won 20 games four seasons in a row from 1936 to 1939. 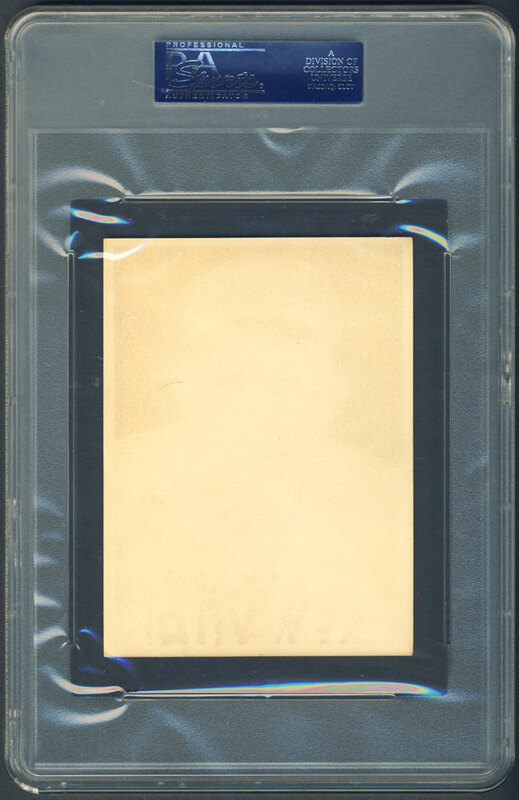 Comments: It's been a long journey for Ruffing.In 2001, I purchased a poor condition 1960 Fleer Ruffing to fill this slot and replaced it with a 1933 Goudey example shortly thereafter. It was submitted to PSA and graded VG, and subsequently sold in Aug. 2003. 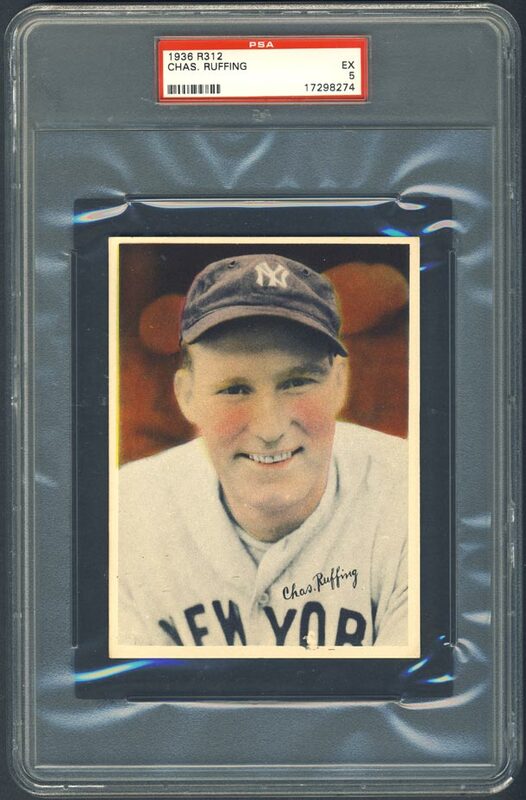 I had also purchased a 1960 Fleer PSA 9 in March, 2003 but wanted something contemporary to Ruffing's career. I had a bunch of '33 Goudeys so decided to go with the World Wide Gum issue. So, I purchased a raw example of the card in Sept, 2005 (graded VG 3). 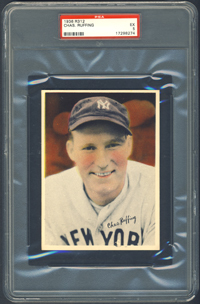 Then, upgraded to a '33 World Wide Gum PSA 4 in Nov, 2006. In March, 2007 I decided to replace them all with the 1936 R312 issue and purchased one on eBay. It was in good condition. Purchased an upgrade in raw form in March, 2008 which ended up in a PSA 4 holder. Then, found this beauty on eBay in November, 2010. According to the PSA Population Report it's 1 of 3 at it's tier with none graded higher! SGC has not graded anything higher than VG/EX. So, this one is the best of the best. Description: The 50 cards in this set are black-and-white photos that have been tinted in soft pastel colors. The set includes 25 individual player portraits, 14 multi-player cards and 11 action photos. Six of the action photos include facsimile autographs, while the other five have printed legends. The Allen card is more scarce than the others in the set.